It's become an annual tradition for MobiHealthNews to parse Inc. Magazine's Inc 5,000 list of fastest growing companies in America, calling out the digital health and health tech companies that made the list. We found more companies than ever on this year's list, some you'll recognize and some you may not. While MobiHealthNews doesn’t generally report on awards, we make an exception for Inc because it’s based on hard data, albeit self-reported. Inc ranks the companies by the percent change of annual revenue in a three-year period. This allows small companies to hang with larger ones, but it also means it can be hard for a company to hold onto its spot on the list, since companies often have big growth early on that levels out as they become established. Finally, it means we get an inside peek at the 2017 revenues of these companies, most of which are private and don't normally share that data. We found 59 companies that we judged to be in the digital health or health IT space, listed below in the order they appear on the list. Check the list out, and then compare it to our 2016, 2015, and 2014 revenue lists. 9. Scientist.com. 2017 revenue: $50.2 million. 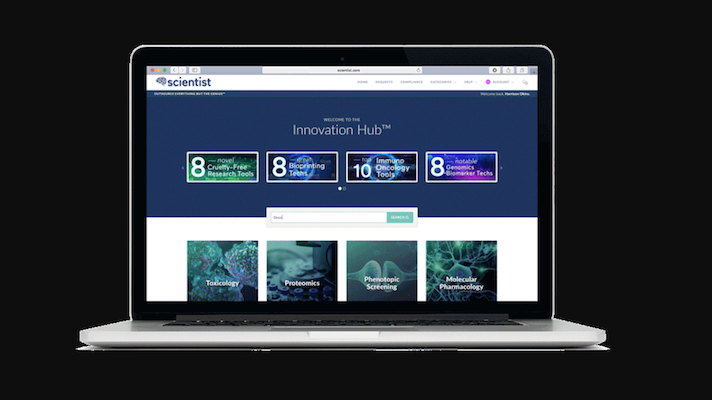 Scientist.com provides an online marketplace for pharma companies and other researchers to outsource tests and operations, allowing easy access to specialized lab tools. It has grown more than 15,000 percent over the last three years and boasts clients like AstraZeneca, Pfizer, and the National Institutes of Health. Site. 19. Calm.com 2017 revenue: $22.3 million. Michael Acton Smith and Alex Tew founded Calm in 2012 with a guided meditation app. But over the years the company has added additional features including a breathing coach feature, "sleep stories" designed to help users fall asleep, a collection of soothing songs called Calm Music, audio classes called Calm Masterclasses, and Checky, that helps users keep track of how many times they've checked their phone in a day. The Ashton Kutcher and Harry Styles-backed app has a more than 10,000 percent three-year growth. Site. 28. Progyny. 2017 revenue: $48.9 million. Progyny, a digital health company focused on in vitro fertilization and fertility, is on the list for the first time this year with a 8,675 percent three-year growth. In 2016, the company launched an app designed to deliver a comprehensive “shopping” experience for consumers seeking fertility services like in vitro fertilization, egg freezing and doctor consultation. Site. 36. Mindoula Health. 2017 revenue: $8 million. Although behavioral health management company Mindoula Health isn’t purely a tech company, it considers technology to be a significant part of its identity as a company. The care management firm has had an iPhone and Android messenger app available to its members for a few years. It allows members to communicate with their care managers both virtually and in-person. In 2016, the company stepped up that element further by acquiring Care at Hand, a Boston-based healthcare analytics company that offers a mobile-based early warning system for home caregivers. In its first appearance on the list, Mindoula posted 7,310 percent growth. Site. 50. uBiome. 2017 revenue: $32.1 million. San Francisco-based uBiome is likely the highest profile digital health company to focus on the microbiome, an emerging area of interest in health and wellness. uBiome makes a direct-to-consumer microbial genomic testing kit. The company has grown 5,423 percent over the last three years and is jumping to a high spot for its first time on the list, rounding out the top 1 percent of companies. Site. 97. Peloton. 2017 revenue: $328.3 million. Whether this smart exercise bike should count as a digital health company has been a point of some debate as its nine-figure funding rounds have an outsized effect on digital health funding trend reports. What isn’t up for debate is that Peloton is a juggernaut, with nearly a billion dollars in funding and 3,700 percent growth over three years. Site. 152. MDsave. 2017 revenue: $15.5 million. MDSave is the highest price transparency company on the list, but not the only one, which points to the relevancy of the space. The company, which offers a website for comparing costs of procedures, has seen 2,700 percent growth over the last three years. Site. 210. Crystal Clear Digital Marketing. 2017 revenue: $5.7 million. Crystal Clear provides digital marketing services for medical practices in the form of “Patient Relationship Management” software. The company has grown 2,100 percent over the last three years. Site. 243. Access Physicians. 2017 revenue: $11.1 million. Access Physicians is a multi-specialty inpatient telemedicine group, providing remote expert services to high acuity patients. In its first year on the list, the company boasts nearly 2,000 percent three-year growth. Site. 272. Health Recovery Solutions. 2017 revenue: $4.1 million. Health Recovery Solutions has grown 1,800 percent over the last three years. The company's product, PatientConnect, helps providers prevent costly patient readmissions by engaging them with a tablet-based program. The hospital provides patients with a cellular-enabled Samsung tablet, with PatientConnect preloaded. Providers pay Health Recovery Solutions a licensing fee for the package. Site. 276. First Stop Health. 2017 revenue: $2.2 million. First Stop Health is a nationwide provider of telemedicine care for consumers and employers. Through a subscription service, customers have access to the company's network of physicians, which can be accessed 24-7 over the phone and online. Site. 281. iProcedures. 2017 revenue: $10.5 million. Founded in 2009, Tampa-based iProcedures is a cloud-based data management service for electronic perioperative documentation. With a range of products underneath the iPro family, the company has enjoyed 1,741 percent growth over the past three years. Site. 351. Healthcare.com $26.2 million. Health insurance search engine Healthcare.com posted 1,419 percent three-year growth for its third year on the list. Site. 473. CheckedUp. 2017 revenue: $2.2 million. Point-of-care engagement platform Checkedup looks to educate patients and improve their dialogues with care providers. The service has been employed across hundreds of practices, the company claims, and in the last three years has seen 1,070 percent growth. Site. 484. EyeKor. 2017 revenue: $4.7 million. An imaging management and analysis service provider for ophthalmic studies, EyeKor's Excelsior platform allows those conducting a trial to more easily share data and images. The data management system maker is new to the list, having grown 1,045 percent during the past three years. Site. 646. Tellus. 2017 revenue: $2.5 million. Florida-based Tellus builds cloud-based software for mobile care delivery, electronic visit verification, and claims processing. Its products are designed for and sold to home health agencies, managed care organizations, and state agencies. Tellus was founded in 2014, and has grown 779 percent since its first year. Site. 649. PrescribeWellness. 2017 revenue: $23.6 million. PrescribeWellness, which offers patient engagement and medication adherence software tools to pharmacies, grew 778 percent in the past three years. This is its fourth year on the list, and the first time its fallen below 200th. It was the top digital health company on the list in 2016 and 2017. Site. 686. Fusion Web Clinic. 2017 revenue: $2.2 million. Built specifically for pediatric clinics, Fusion Web Clinic's practice management software includes scheduling, documentation, and billing support. In addition, the software includes an analytics dashboard that generates reports concerning factors such as patient attendance and staff productivity. The company has grown 733 percent in the last three years. Site. 730. engagedIN. 2017 revenue: $2.1 million. A design firm specializing in scalable behavior change interventions, engagedIN claims to take a neuroscience-based approach to its design work so as to maximize the effect of the client's intervention. The California-based company's employee count is in the single digits, but has still grown 683 percent in the past three years. Site. 860. Welltok. 2017 revenue: $68.8 million. Denver, Colorado-based health management company Welltok, which makes the CafeWell health engagement platform, grew 584 percent over the last three years and is now entering its fourth year being featured on the list. Site. 885. Rock My World. 2017 revenue: $2.2 million. Through machine learning, Rock My World delivers targeted audio and visual media content intended to help users achieve health and fitness goals — for instance, playing music that matches a user's running pace. The San Diego-based company's offering is designed to integrate with consumer-facing products, and has fueled a three-year growth rate of 565 percent. Site. 1133. eAssist Dental Solutions. 2017 revenue: $10.9 million. An electronic billing service for dental practices, eAssist Dental Solutions' product assists with claims submission and denial investigation while providing daily progress reports and other management features. The company has grown 435 percent over the past three years. Site. 1182. NovuHealth. 2017 revenue: $36.5 million. NovuHealth's healthcare consumer engagement strategy leans heavily on performance analytics, behavior science, and implementation of an analytics technology platform. Working with public and private health plans alike, NovuHealth helps design personalized programs to improve plan members' health. The Minneapolis-based company has grown 409 percent in the last three years. Site. 1256. MedBridge. 2017 revenue: $10.6 million. Seattle-based continuing education provider MedBridge offers more than accredited online video courses for health care professionals in need of Continuing Education Units (CEUs). In addition, the company also offers customizable home exercise programs that patients can view through a mobile app, helping it achieve 386 percent three-year growth. Site. 1260. Lightbeam Health. 2017 revenue: $16.2 million. Lightbeam's end-to-end population management tool helps payers, ACOs, health systems, and other organizations aggregates clinical and claims data. Doing so allows the vendor-neutral, cloud-based platform to predict potential high-cost patients while identifying other areas within the system ripe for cost reduction. In the past three years, the Irving, Texas-based company has grown 384 percent. Site. 1433. MedMinder. 2017 revenue: $4.6 million. MedMinder's smart pill dispensers support timed locks, cellular connection for adherence monitoring, emergency medical alerts, reminders, and more features to help aged patients take their medications at home, correctly. With multiple product models offering varying combinations of these features, the company has grown 326 percent over the past three years. Site. 1489. CareMerge. 2017 revenue: $2.3 million. CareMerge offers senior living care providers resident and family engagement tools alongside EHR products designed for aged patients. The company says that it looks to "eliminate communication silos and inspire collaboration" among all stakeholders in the aging care sector. It grew 315 percent over the past three years. Site. 1534. Softheon. 2017 revenue: $38.7 million. Softeon's configurable software products assists health plans and government groups with enrollment, member billing, and reporting. Currently boasting more than 3.2 million managed Americans, the Stony Brook, New York company's three-year growth reached 308 percent in 2017. Site. 1764. Health Catalyst. 2017 revenue: $73.9 million. Salt Lake City health data warehouse Health Catalyst has been floating the idea of an IPO for some time. The company grew 258 percent over the last three years, and is celebrating its sixth year running on the list. Site. 1807. Teleradiology Specialists. 2017 revenue: $18.6 million. This Phoenix, Arizona company does exactly what its name says, interpreting radiology results quickly and remotely for clinicians. The company grew 249 percent over the last three years. Site. 1825. symplr. 2017 revenue: $54.8 million. A software maker serving healthcare organizations, symplr's flagship compliance and credentialing product helps organizations mitigate risk and meet regulatory requirements, with additional services such as vendor sales representation and revenue cycle management. The company grew 247 percent in the last three years. Site. 1925. Arklign. 2017 revenue: $2.5 million. Arklign seeks to improve business relationships between dental practices and labs. To do so, it offers software that unifies case management, data sharing, communications, and analytics between the two parties. The company was founded in 2005, and over the past three years has seen its business grow 233 percent. Site. 2160. VitalWare. 2017 revenue: $11 million. Vitalware, a software-as-a-service provider for documentation, coding, billing, and auditing, grew 205 percent over the last three years, and earned its spot on the list for the fourth consecutive year. Site. 2268. MicroHealth. 2017 revenue: $12.2 million. MicroHealth is a health information technology company focusing on informing stakeholders with the information needed to make better care and value decisions. It has grown 194 percent in the last three years. Site. 2272. HospiceLink. 2017 revenue: $81.4 million. Billing itself as a durable medical equipment (DME) benefit manager, HospiceLink provides a platform offering hospices DME network distribution, spend analytics, and expert consultations. Currently, the company says that it has impacted more than 1.2 million hospice patients with its services, and in the past three years has grown 194 percent. Site. 2323. Wellness IQ. 2017 revenue: $7 million. Independence, Ohio-based employee wellness program maker Wellness IQ grew 188 percent over the last three years. The company makes the Vitality Wellness program. They have been on the list since 2015. Site. 2391. Aduro. 2017 revenue: $28.8 million. App-enabled behavior change company Aduro grew 181 percent over three years, landing it on the list for the third time. The company’s app includes wellness features like nutrition and exercise, but also helps employees build other positive habits. Site. 2479. ImagineSoftware. 2017 revenue: $29.9 million. With three-year growth of 174 percent, this Charlotte, North Carolina-based company provides billing-automation software and revenue-management apps to billing companies and medical practices in the United States. It climbed quite a few spots from #3578 last year. Site. 2503. Chartwise Medical Systems. 2017 revenue: $6.3 million. Chartwise sells software to improve clinical documentation. The company is back for its third year on the list with 172 percent three-year growth, but dropped from last year's #797 placement. Site. 2681. Medical Guardian. 2017 revenue: $33.5 million. Medical Guardian, based in Philadelphia, Pennsylvania, provides medical alert devices to seniors around the United States; the alert system allows seniors to immediately notify an emergency medical operator if something is wrong. The company grew 156 percent over the last three years. Site. 2801. Azalea Health. 2017 revenue: $8.9 million. Atlanta-based Azalea Health, a health IT software firm focused on rural practices and mobile tools which acquired Houston-based EHR company Prognosis Innovation Healthcare last year, posted 147 percent three-year growth to make this year’s list. Site. 2923. Vyne. 2017 revenue: $32.8 million. In its 11th year on the list, Vyne posted a three-year growth of 140 percent. The company specializes in secure exchange of healthcare data between various stakeholders. Site. 3135. freshbenies. 2017 revenue: $7.9 million. McKinney, Texas-based freshbenies works with employers and payers to provide a benefits card that grants access to telemedicine services, prescription discounts and more. The company grew 126 percent over the last three years. Site. 3145. PharmaPoint. 2017 revenue: $27.5 million. PharmaPoint provides pharmacy management and medication adherence to hospitals, health systems and physician groups. The company earned its sixth consecutive year on the list with 126 percent three-year growth. Site. 3146. Nu Image Medical. 2017 revenue: $5.7 million. Tampa-based Nu Image Medical uses phone and video telemedicine consultations to provide medically-supervised weight loss services. The company grew 126 percent over the last three years. Site. 3318. GSI Health. 2017 revenue: $10.4 million. GSI Health uses data analytics to improve care coordination and population health management. The Philadelphia-based firm posted 117 percent three-year growth. Site. 3364. Discovery Health Partners. 2017 revenue: $31.5 million. Discovery Health Partners finds itself on the list for the fifth time, with a three-year growth at 115 percent. It provides software and cloud services to healthcare payers, including 10 Blues and three of the US’s top five health plans. Site. 3564. RadmediX. 2017 revenue: $9.2 million. West Chester, Ohio-based RadmediX provides digital radiology services to providers with its Acuity DR product portfolio. With 106 percent three-year growth, it’s landing on the list for the first time. Site. 3583. Vizzia Technologies. 2017 revenue: $2 million. Vizzia Technologies is in the business of RFID and real-time location system tracking of hospital materials and devices, as well as tracking things like temperature and hand hygiene in hospitals. The 13-year-old Atlanta-based company grew 104 percent over the last three years. Site. 3763. HHAeXchange. 2017 revenue: $18.3 million. HHAeXchange, a provider of home care management software for the Medicaid population, grew 97 percent over the last three years. Site. 3772. pMD. 2017 revenue: $9.3 million. San Francisco, California-based pMD’s mobile communication and data capture platform aims to increase efficiency by allowing physicians to capture charges and patient data more accurately at the point of care. Its three-year growth stands at 97 percent. Site. 3785. MDScripts. 2017 revenue: $4.3 million. Clinical dispensing software maker MDScripts made the list for the first time with 96 percent three-year growth. The company also provides support for pharmaceutical billing and data reporting, and integrates with EHRs. Site. 3825. Med Tech Solutions. 2017 revenue: $11.8 million. Based in Valencia, California, Med Tech Solutions specializes in healthcare cloud computing services, working with healthcare clients nationwide. Its Infrastructure features all-flash storage for performance and speed, Encryption-at-Rest to address data security and EHNAC accreditation. It grew 95 percent over the past three years. Site. 4079. eHealth Technologies. 2017 revenue: $19.4 million. Founded in 2006, this West Henrietta, New York-based company’s products seek to improve healthcare delivery by providing health systems with access to an intelligently aggregated clinical record, and images, for every patient referral. The past three years have seen it grow by 85 percent. Site. 4094. Net Health. 2017 revenue: $52.6 million. Net Health, a nine-time honoree, makes EHR tools, practice management tools, compliant clinical workflow documentation, revenue cycle management (RCM), analytics and professional services. Its three-year growth was 85 percent. Site. 4112. Dimagi. 2017 revenue: $13.5 million. Cambridge, Massachusetts-based Dimagi makes a mobile communication and data collection platform that can be used for disease management and clinical decision support in rural and urban communities around the world. In its seventh year on the list, it posted 85 percent three-year growth. Site. 4807. ProSites. 2017 revenue: $20.5 million. An Inc 5,000 six-timer, ProSites helps doctors — especially dentists, ophthalmologists, and plastic surgeons — optimize their online presence, creating websites and managing their social media. It’s three-year growth stands at 63 percent. Site. 4880. Competitive Health. 2017 revenue: $3.2 million. Competitive Health provides healthcare networks, health savings cards, and — perhaps most pertinent — telemedicine services to employers. The company landed on the list for the first time with 61 percent three-year growth. Site. 4908. SCIO Health Analytics. 2017 revenue: $73.7 million. This West Hartford, Connecticut-based outfit is a health analytics service company, leveraging healthcare data, predictive analytics, and healthcare business experts to provide clients solutions to decrease costs, improve health outcomes, increase revenues, and drive ROI and sustainability. It grew 60 percent in three years and just squeaked in for its seventh consecutive year on the list. Site.